My research focuses on the development and application of methods of analytical chemistry. In particular I integrate mass spectrometry and informatics to analyze biological compounds involved in nervous system (e.g. neurotransmitters, metabolites and synaptic proteins) to study the neurochemical aspect of the evolution of nervous system. Originally from Taiwan, I have been fascinated by the theory of evolution since I took the Biology course as an undergraduate student. 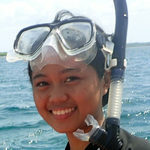 During that time, I was introduced to the systematics of red algae and the world of coral reef. I then carried it for my MSc in Marine Biology in National Taiwan University with the study of coral evolution by applying molecular phylogeny. After MSc, I joined the Biodiversity Research Centre in Academia Sinica where I developed my interest of coral genomics. After obtaining working experience, I decided to pursuit a PhD degree and started PhD journey in James Cook University, Australia studying coral genomics and evolution under the supervision of Prof. David Miller. Using the transcriptomic data of corals’ close relatives, corallimorpharians (coral-like anemones), new insights into the major questions in cnidarian evolution, coral calcification and cnidarian-algal symbioses, were provided. Having a great interest in the basal animal evolution, I join Evolutionary Neurobiology Unit at Okinawa Institute of Science and Technology as a postdoctoral researcher working on a series of basal animal transcriptomes and genomes to understand the origin of neuron. Outside of work, I enjoy playing badminton, watching movies, taking photos, and visiting nice restaurants for good food. I joined Evolutionary Neurobiology Unit in October 2018. My research interest is the relationship between the developmental process and the evolution. I am currently trying to understand how the central nervous system were established during evolution using basal metazoan models. In addition, I attempt to apply epigenetic tools to understand the molecular machineries in ancestral animals. I took my master’s degree in marine biology in the University of Ryukyus. I’m working on fieldwork and trying to establish Lab cultures of marine invertebrates. This aims to have new model animals useful for EvoDevo studies. I love dogs, sweets, scuba diving and Okinawa. I joined the Evolutionary Neurobiology Unit in May 2017. As a research unit technician, my primary job is to help the researchers and students advance their research. Our research focus, the evolutionary origins of the nervous system, is a new but interesting field to me, and I’m excited about the future perspectives. I’m surrounded by unit specialists and people from other units/sections, which is ideal for being constantly up-to-date or to learn new stuff. I joined the Evolutionary Neurobiology Unit in Dec, 2017. My job as a research unit technician is to assist the research projects that focus on mass spectrometry-based omics and informatics to study nervous system in basal metazoans. I joined Watanabe Unit in April, 2016 when Prof. Watanabe joined OIST. My task as a Research Unit Administrator is to provide administrative support for the unit members. Outside work, I enjoy baking breads and biscuits. I graduated with a BSc in Biomedical Sciences (Physiology) and an MSc in Genetics both from the University of Aberdeen, Scotland. My thesis was to do with the molecular and genetic basis of clubfoot under the supervision of Prof. Martin Collinson and Dr. Neil Vergesson. My Master's research in the Laboratory of Functional Morphochemistry of Neurology Research Center, RAMS (Moscow, Russia) was devoted to examining the morphological changes of rodent astrocytes following chemical injury. In the Evolutionary Neurobiology Unit I continue studying glial cells and their evolution using basal metazoans, mainly Nematostella. This is also a perfect way of combining two passions of mine: glial biology and marine creatures. I love sea, dancing, fresh whole foods, exploring the Ryukyu Islands, and writing about them in the student-run magazine "Kuroshio". Christine hails from the Philippines. For her PhD project, she is interested in studying the early evolution of synaptic protein complexes. She is also interested in gene expression response in marine organisms to environmental stress. After finishing my BSc research on functional difference between soldiers and workers of termite at Hokkaido university, I moved to this tropical island resort from freezing island resort. I'm interested in the evolution of functions or organs that are ubiquitously existed in animals, and currently I'm working on molecular phylogenetic analysis of bHLH transcription factor from holozoan animals. 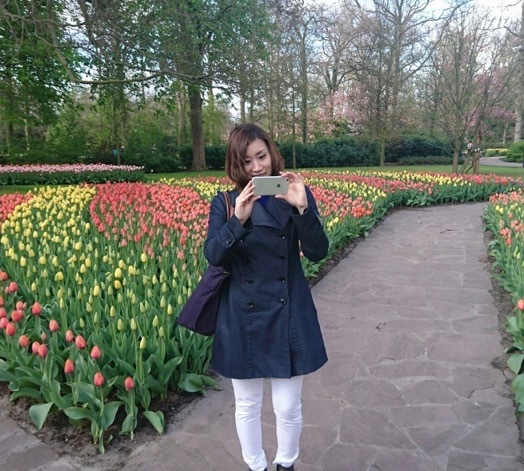 JK joined ENBU in September 2018 as a research intern from the Philippines. 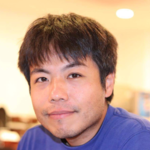 He devotes his time at OIST understanding the role of select neuropeptides in neurodevelopment of Nematostella vectensis using gene knockdown techniques and molecular biology tools. His motivation to dedicate his research in neurodevelopment and early animal evolution was mainly influenced by his adviser, C Conaco. 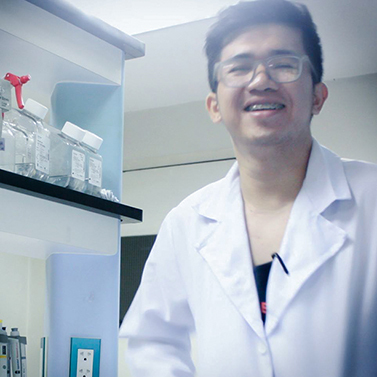 As a marine biotechnology student in the Philippines, his graduate research project aims to identify neuronal and circadian clock genes in corals. He also wants to gain insights on how these genes are regulated under thermal stress, using molecular biology and transcriptomic tools. In the future, he likes to continue his pursuit to understanding early animal evolution particularly the evolution of the nervous system in early extant animals. I am currently a Bachelor student of the Laboratory of Marine Life Science and Genetics at Tohoku University (Sendai, Japan), where I mainly research the early asymmetrical development in flatfish. For my internship at the Watanabe Unit, I utilized mass spectrometry to identify neurotransmitters mainly available in the invertebrate Nematostella and search for related compounds. Although especially I have been long drawn to marine invertebrates such as Ctenophora and Cnidaria, I also have a passion towards terrestrial invertebrates and would be happy to join in on an insect hunt to the Okinawan Woods anytime! Cell biologist diving into the field of evolutionary neurobiology! My research strategy involved intensive microscope and molecular biology techniques. Currently, I tried to understand the origin of central nervous system, and how neuron network is established through the embryo development. or I'm simply enjoying to visualize all those beautiful world of neurons. I completed my Master’s from Kochi University (Japan) and will defend my Ph.D. in Molecular Genetics there. I joined OIST in May, 2016 in the Evolutionary Neurobiology Unit. I am involved in the culture of marine invertebrates such as Nematostella and Hydra. I will be assisting in their molecular and neurobiological research to understand the origin and evolution of nervous system.